Mini seamstresses rejoice with a DIY sewing machine project! Feel like getting crafty? Any home seamstress will know only too well that the little people are keen to follow suit when it comes to being at the helm of the sewing machine. 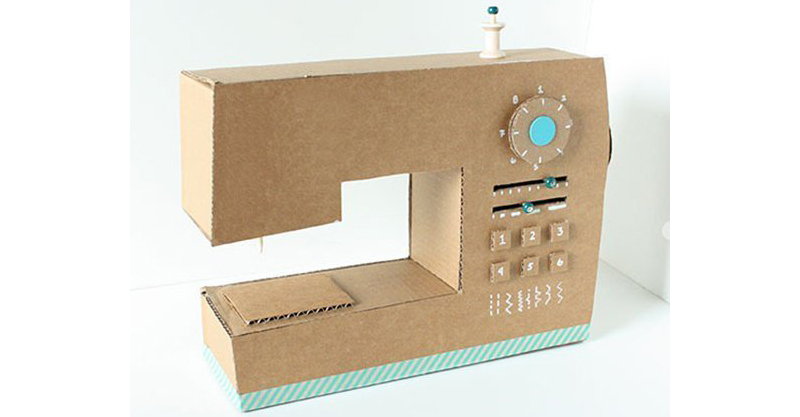 Buy some serious time with this DIY cardboard number – a Janome it isn’t, but it’s the next best thing! Years ago I spent hours sewing with a baby in a sling carrier, followed by a toddler sitting on my lap – then the wanting to play with the machine started. Cue much toddler drama. I mean sewing machines are expensive, have a very sharp needle – and most definitely are not toys. Much angst surely would have been avoided if only I had thought to make a cardboard version to play with! The awesomely talented Little Red Window did just that, with just a cardboard box and a few handy, easily sourced fixtures. 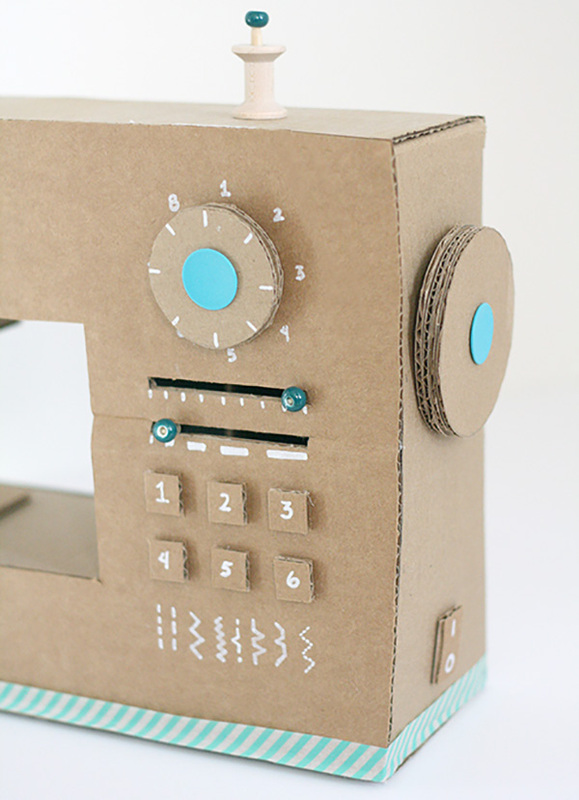 Anyone who wishes to create their own, you’re in luck, there’s a full DIY Cardboard Box Play Sewing Machine tutorial to guide you every step of the way. Right down to how to make buttons and knobs, just like the real deal. We wish you much luck in customising your own machine and of course, pretend stitching! We love playing here at Babyology! Be sure to check out lots more of our cardboard play inspiration!